Myositis Overview: What Happens and What Can Be Done from Lawrence J. Kagen, MD Attending Rheumatologist, Hospital for Special Surgery and Professor of Medicine, Weill Cornell Medical College. The following articles are adapted from open discussions by members of the Myositis Support Group of Hospital for Special Surgery - Angela Hunter, LMSW Myositis Support Group Coordinator. 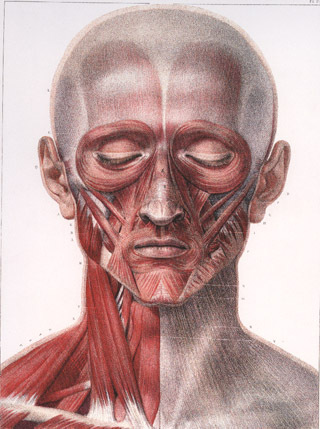 Illustration of facial musculature from J.M. Bourgery and N.H. Jacob, Atlas of Human Anatomy and Surgery, (1854).